The month of May is recognized as Mental Health Awareness Month in the United States. According to the National Alliance on Mental Illness (NAMI), 1 in 5 adults in the United States experiences mental illness in a given year. Mental illness comes in many forms, including anxiety, depression, PTSD, and eating disorders; many times, the varied forms of mental illness can lead to physical harm, even suicide. In the spirit of this important month of reflection, I wanted to share my story of my own battle with anxiety and depression in an effort to bring awareness and to show those working through their own personal battles that we are not alone and that, together, we are stronger than our illnesses! I was first diagnosed with anxiety and depression when I was a senior in high school. I woke up each morning feeling like I was watching myself go through the motions of the day and was terrified at the thought of something that I knew was probably irrational happening to me at any given point in time. Living in this constant state of fear made getting out of bed to do the same thing all over again seem incredibly daunting. While I had never contemplated bringing harm upon myself, I did wish that I could stay in my bed instead of going out into the world and facing these thoughts, emotions and physical responses that my body had to the anxiety. Next, let’s press fast forward and visit the first days of my career at Medix. To me, starting in this job was my first step towards finally making the transition into adulthood. However, with this new opportunity came an immense amount of responsibility and new stressors. Paying bills on my own, watching student loans populate my inbox and having to dig into my savings account for emergencies were all new to me. Luckily, I had not experienced a bad spell of the anxiety that had affected me so deeply when I was in high school. Yet, I did have days that closely resembled the times I experienced in the past that had me longing to return to my home, locking myself in my room, and not coming out until the feelings passed and I felt like my “normal” self again. While working at Medix, one of our teammates lost her sister to suicide. It was a shock to hear that someone who was so loved and cherished by one of our own was gone, and seeing the effects on our teammate was heartbreaking. In true Medix fashion, we banded together and helped to support her in her efforts to raise awareness and to support the American Foundation for Suicide Prevention. Although this teammate has since left Medix, the impact she made still left a mark on our team and opened my eyes to the severity of need in our communities for expanded mental health awareness. In August 2017, I received a text message that I never thought I would personally receive. A friend of mine had posted a Facebook message that indicating that they were potentially going to hurt themselves. As this was an immediate cause for alarm, a few of my friends and I discussed calling the police or trying to reach our friend to help. However, we soon learned that this Facebook scheduled for release ahead of time through a third party application. Our friend had taken their own life earlier that morning – without any signs that we could have predicted or understood. It is crucial that you have someone to talk to about the way you are feeling. Talking about it allows you to acknowledge the way you feel. I am incredibly fortunate to have an amazing support system, many of whom also struggle with similar things that I face. If you feel that you are in a place that you cannot get out of, do not hesitate to get help. I know that I was hesitant to visit a doctor when I was in high school and that I should be able to “just get over it,” but by talking to my family care provider and a psychologist, I was able to better understand my anxiety and was able to attack it head on! One of my favorite quotes that I have seen over the years is as follows: “Everyone you meet is fighting a battle you know nothing about. Be kind. Always.” This really hit home for me after losing a friend to suicide. We need to lift each other up each day and support those around us. As we join together this May, there have already been countless news headlines regarding notable celebrity suicides, fundraising opportunities and other very visible ways to become more educated on the topic and show support for mental health awareness. I want to continue to use my own experience, whether through retelling my own anxiety or the stories I have experienced around me, to continue to bring that awareness to the forefront and help us all support one another, no matter what someone may be going through. I encourage you to do the same during Mental Health Awareness Month and throughout the year! The thoughts and opinions expressed above are solely the author’s who is not a trained or licensed professional in the field of mental health. The article is for informational purposes only, and should not be used to replace the specialized training and professional judgment of a healthcare or mental health care professional. Please always consult a trained mental health professional before making any decision regarding treatment for yourself or others. 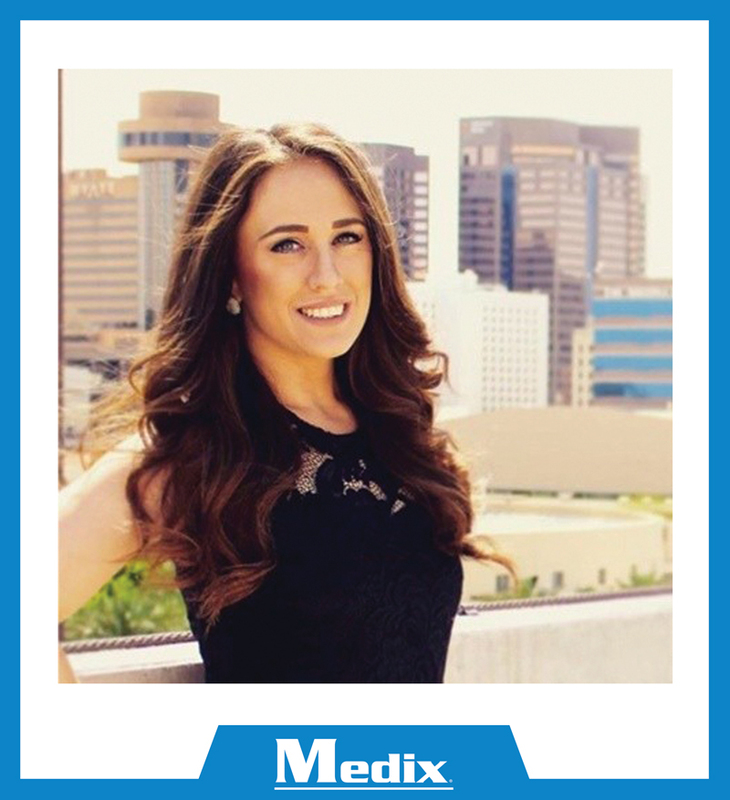 Kyri e is a Compliance Analyst currently working in Medix’s Scottsdale, Arizona office. This entry was posted in Currently Employed, Positively Impacting Lives and tagged american foundation for suicide prevention, being a good teammate, may, mental health, mental health awareness, national alliance on mental illness, suicide prevention. Bookmark the permalink.